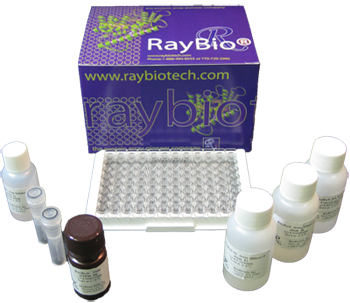 RayBio® Cell-Based Protein Phosphorylation ELISA kits are rapid, convenient and sensitive assays which can be used for measuring the relative amount of protein phosphorylation and monitoring the effect of various treatment, inhibitors (such as siRNA or chemicals), or activators in cultured cell lines. 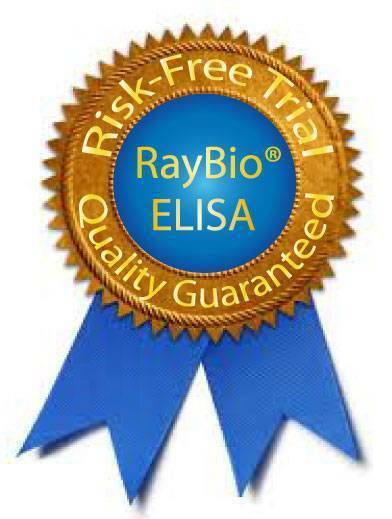 Cell-Based ELISA kits are convenient and efficient for daily use. Two 96 well tissue culture plates (12x8 well) for 192 Assay. Eliminate tedious steps in preparing cell lysate and performing Western Blot. Screen the effect of various treatments such as inhibitors or activators in one experiment. 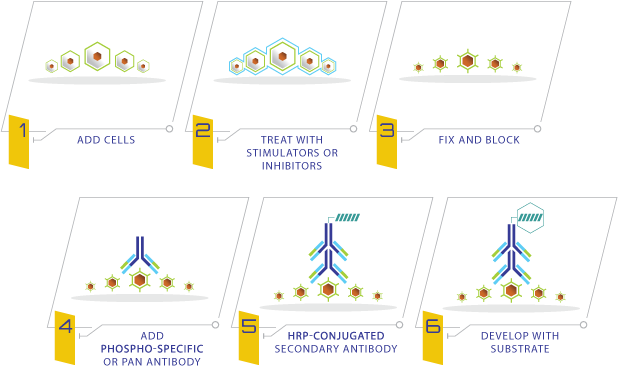 Work reliably with wide range of cell lines. High sensitivity and simple procedure, non-radioactive materials. Only apply inhibitor or stimulator, fixing solution, blocking solution, antibody and TMB One-Step substrate reagent in 96-well tissue culture plate.